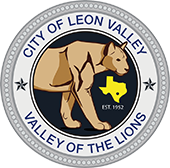 The City of Leon Valley won the bronze award during the Scenic City Presentations at the Texas Municipal League Conference this evening. The city was recognized for its parks and recreational spaces. 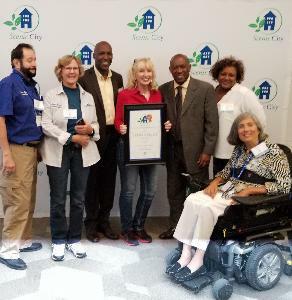 Pictured below are Mayor Pro Tem Benny Martinez, City Councilor Monica Alcocer, City Councilor David Jordan, City Manager Kelly Kuenstler, Houston Mayor Sylvester Turner, City Attorney Denise Frederick and City Councilor Belinda Ealy.